One week from tomorrow it’s OK to carry around a riding crop and wear a helmut in public. Be prepared. Get bourbon. Leave those tiny silver cups at home, we’re feeding a crowd. And by feeding I mean drinking a giant silver punch bowl filled with Mint Juleps. So get your Maker’s Mark, and a commercial ice crusher, and if you have the time, grow some mint! Or, you could just fake it and add in some mint simple instead. Stir it all up with some wild horses, and please, gentlemen, use a napkin. It’s September. Target was filled with Halloween decorations about two weeks ago, and I have a fruit basket filled with peaches. They’re not the prettiest peaches mind you, but they’re still sooooo tasty. I do this every year. I overbuy summer produce like I’ll never see it again and when it starts getting close to Fall, I scramble to use it up. As you all know, it kills me to throw food away. This year it’s a little easier with a little one who gobbles up peaches but I’m still staring at this fruit basket scratching my head. And then I go, DUH, and drag out the blender. Where once you only bought a frozen cocktail while on vacation where you both did not care what you were drinking, and you were more than likely not going to remember it anyway, now I insist you make them for yourself and loved ones. 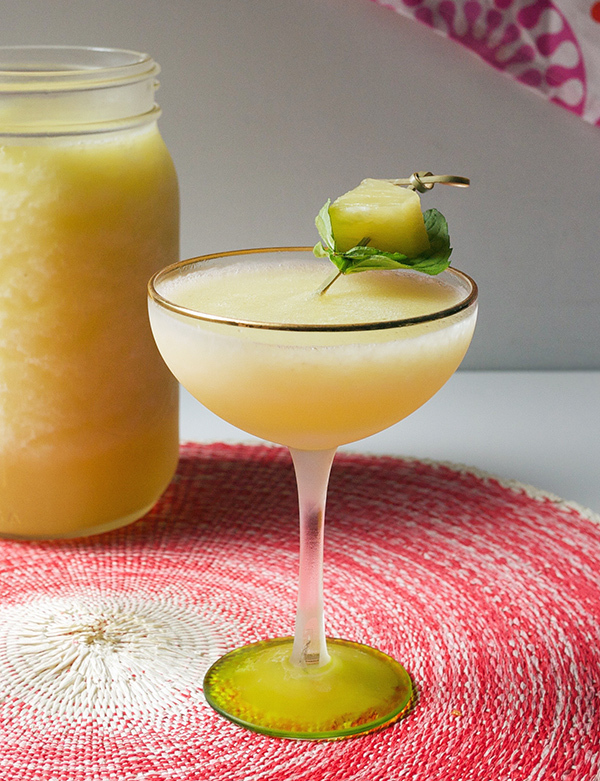 I convinced you to make a Frozen Blood and Sand cocktail last month, and let’s not forget that Cucumber and Green Chartreuse number from last year. 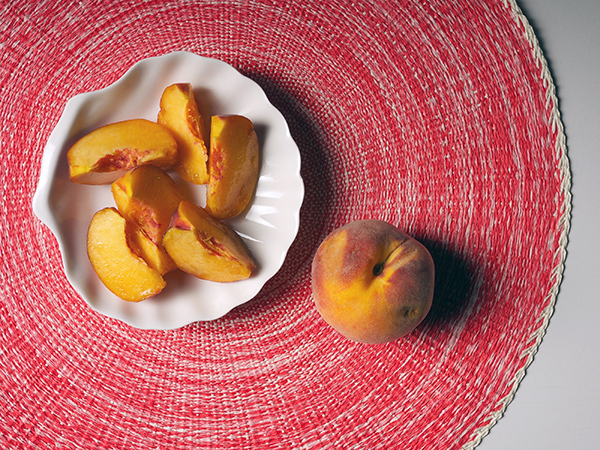 This post is part one of emptying that fruit basket of all those peaches. A little on the savory side with earthy notes from the tequila and the herbal, floral, bitter Suze. 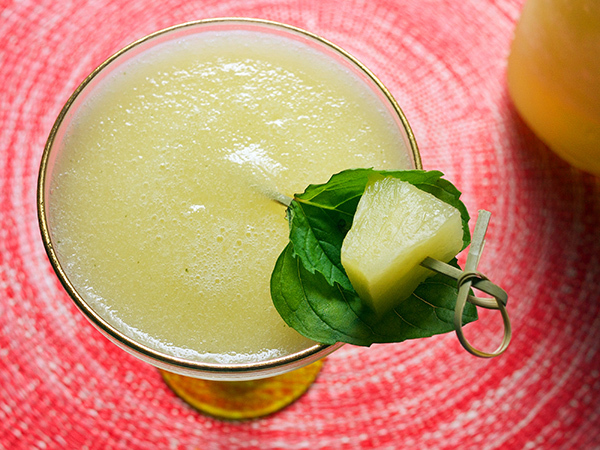 Your sweet peaches balance out that earthy side, mixed with sweet-tart pineapple and mint for a concoction that’s both refreshing and complex. **This recipe was originally written for Serious Eats. I took a mid-week break this week and if you follow me on Instagram, or really any of the social media entities, you may have noticed I was visiting Las Vegas for the Saveur Best Food Blog Awards. It’s always a pleasure to get out and meet the faces and personalities behind the sites one reads; this time was no exception. Within the cocktail community, one naturally gravitates towards the like-minded, and for a few days I got to spend some time with Cocktail Blog Winners Death to Sour Mix and Bit By a Fox, as well as The Beeroness and Brunellos Have More Fun. They were all a fun crew (cause, duh, we all love booze) and I’d beg for you all to check out their sites if you’re not familiar with them. 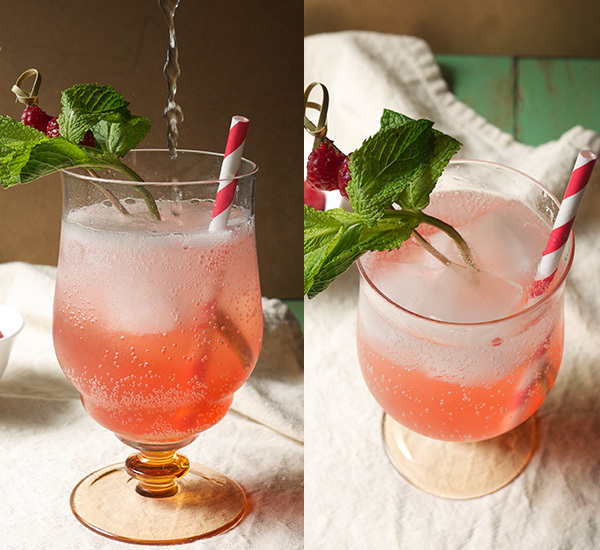 So, it’s Sunday, and as much as I’d like to go sit outside and continue to enjoy the weekend, I wanted to get this drink post out to you all since it’s both seasonally, and Sunday, appropriate. I originally wrote this recipe for the Serious Eats site a few weeks ago when they were looking for some more patio drinks to feature (and I love a reason to sit outside with a cold pitcher of something good to drink). 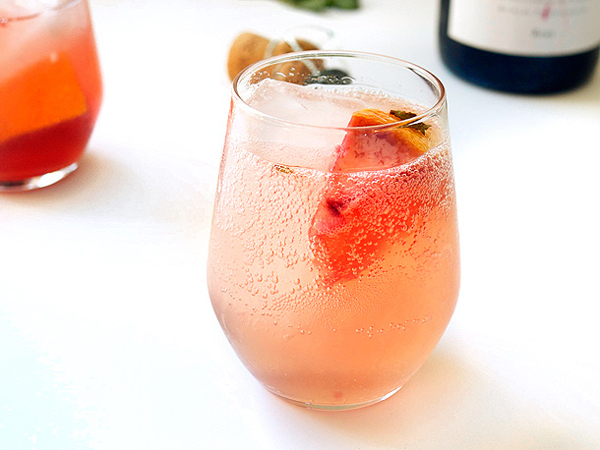 This time around, instead of wine in a Sangria, I decided on featuring Lillet, and in particular, Lillet Rosé. We’re still getting grapefruits here, although not the best since the season is ending, however their delicious flavor can still go a long way in a Sangria. Since I was set on using them up, I chose Lillet Rosé as a base since it’s very grapefruit forward and would only enhance that flavor. 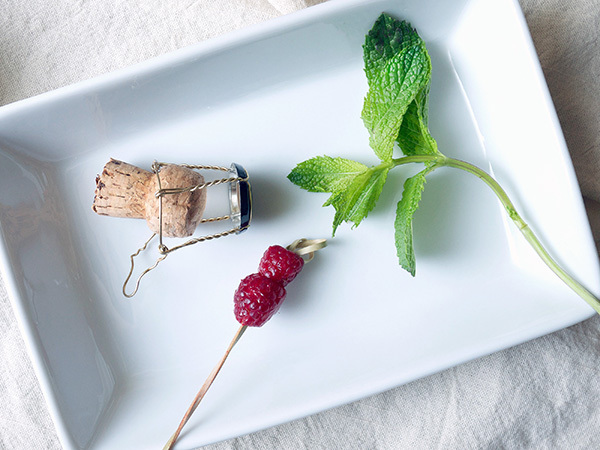 I followed that up with grapefruit’s best friend mint, and topped it off with Cava. Pretty simple, but super tasty. Now, as far as simple syrup is concerned, you’ll need to taste your grapefruit and see just how sweet it is, or if you just like your Sunday Sippers a tad on the sweet side, use the full amount suggested in the recipe. It’s up to you! 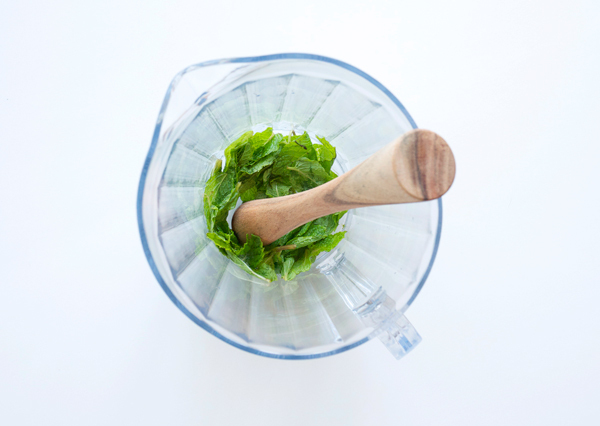 In the bottom of a pitcher, gently muddle together the mint leaves and simple syrup. 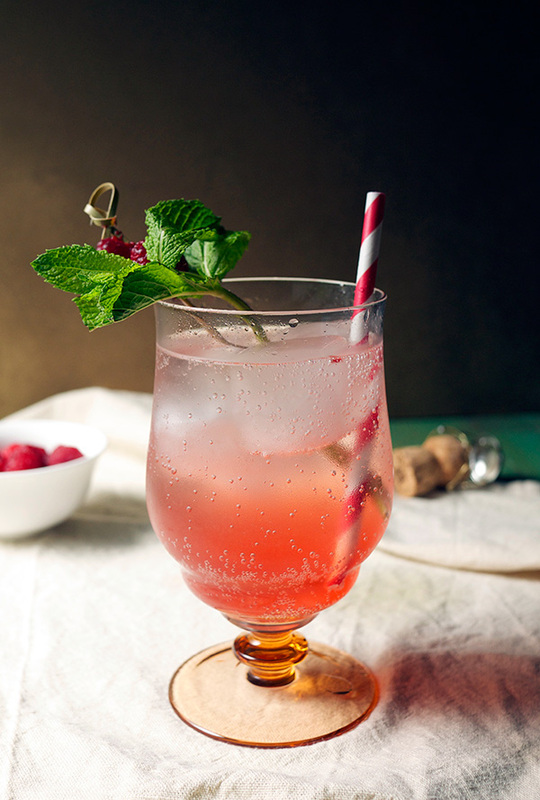 Add grapefruit chunks, grapefruit juice, and Lillet Rosé. 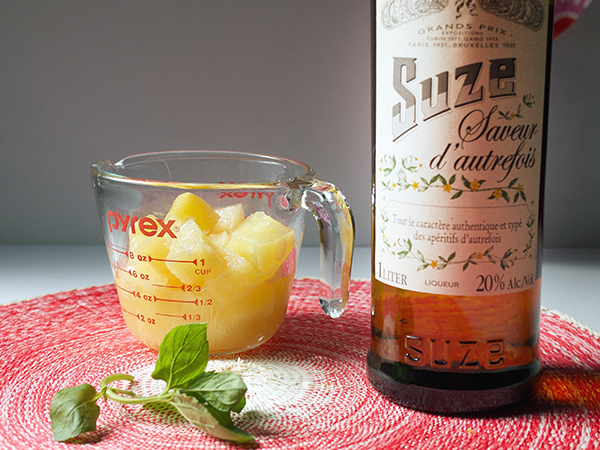 Refrigerate for at least 4 hours or overnight. 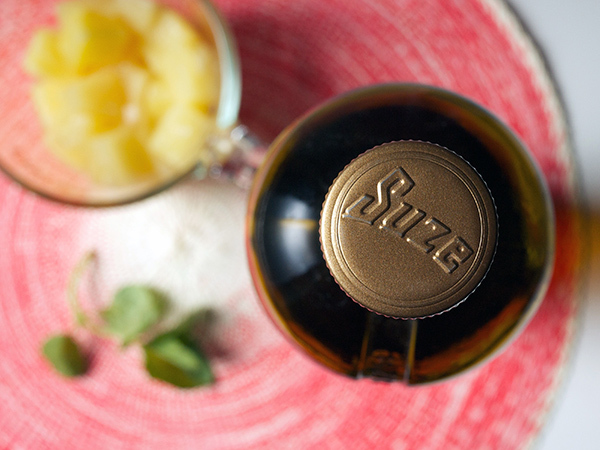 When ready to serve, add Cava to the pitcher and stir gently. Serve over ice. 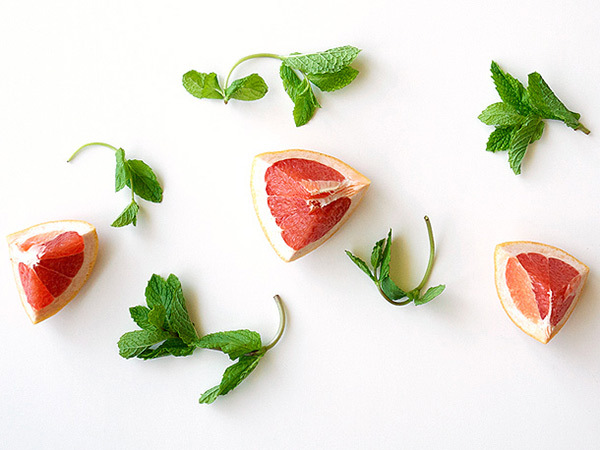 Grapefruit has a bitter, floral flavor that works really well with the sweet, cooling mint. Ruby Red is what is available right now, and these actually veer more towards tart than sweet (if you substitute white flesh grapefruits like an Oro Blanco you’ll need less sugar). 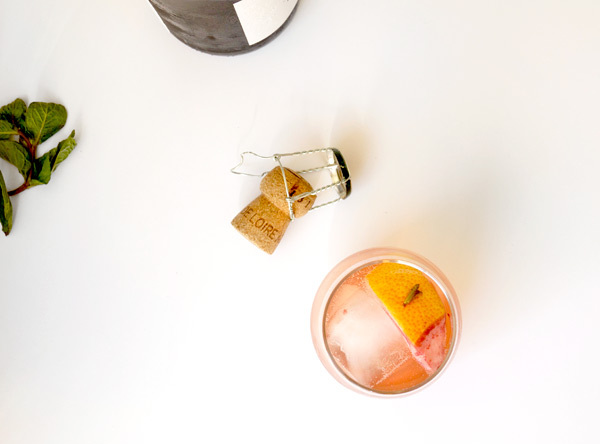 The Lillet Rosé makes this a super grapefruit treat that is just a touch sweet and with the bubbly cava, totally summer in your glass. Now if you all would excuse me, I’m going to go pour myself another glass of this and enjoy the rest of my Sunday, as should you.